MANILA -- Life imitates art? 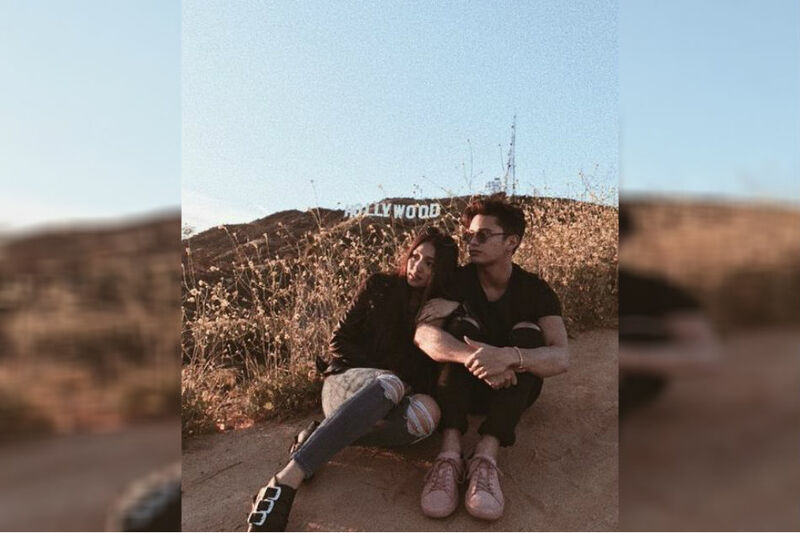 Avid fans of today's hottest love teams -- from KathNiel to LizQuen -- are fervently praying that their idols would also end up together in real life. They've been mum about whether they're officially back together. 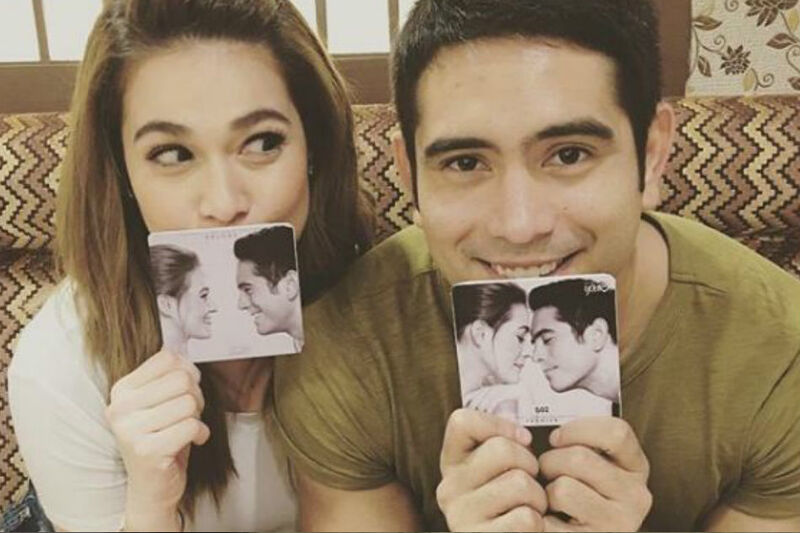 But a slip of the tongue appeared to have confirmed that Gerald Anderson and Bea Alonzo are a couple once more. In an interview at the 2017 Star Magic Ball, Anderson accidentally declared that he and Alonzo have "been together" for the last few months before cutting himself short. The two began dating again after they were paired for the 2016 movie “How to Be Yours.” They had a short-lived relationship in 2010. Ryan Agoncillo and Judy Ann Santos tied the knot in April 2009 in Batangas. Santos and Agoncillo were first paired as a love team in 2004 for the fantaserye “Krystala.” It was during that time when their friendship deepened and their relationship blossomed. They confirmed their relationship after “Krystala” ended and have been inseparable ever since. 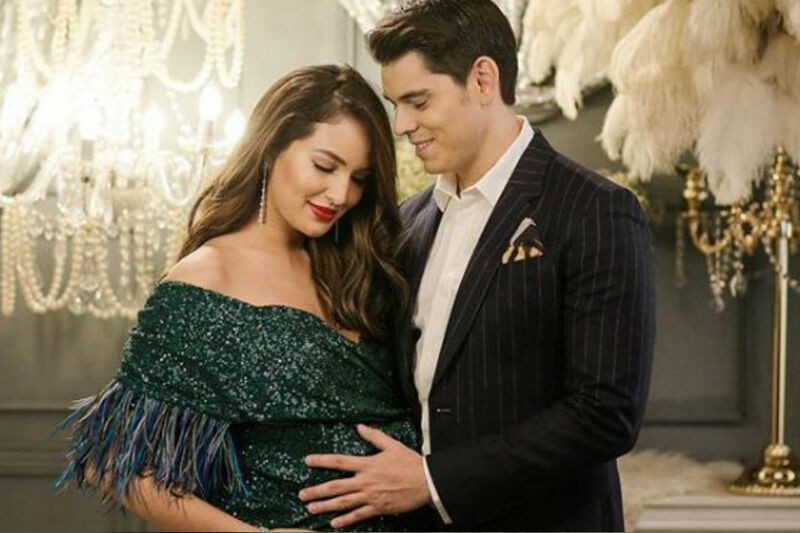 Richard Gutierrez and Sarah Lahbati first worked together in a primetime series of GMA-7. It was during that time that they fell in love with each other. Five years into their relationship, the two got engaged in Switzerland. Currently, they have a four-year-old son Zion, and are expecting another baby boy soon. Lahbati joined ABS-CBN in 2015. Gutierrez followed her and officially became a Kapamilya through the primetime series "La Luna Sangre." Elmo Magalona and Janine Gutierrez first worked together, though not as a love team, in 2012. One year later, they were paired onscreen for the remake of a former series which aired in GMA-7. It was while they were working on the series where they fell in love with each other, with Magalona admitting their relationship in October 2015. The two have since broken up. Former contestants of "Pinoy Big Brother," Miho Nishida and Tommy Esguerra first met during their reality show stint. 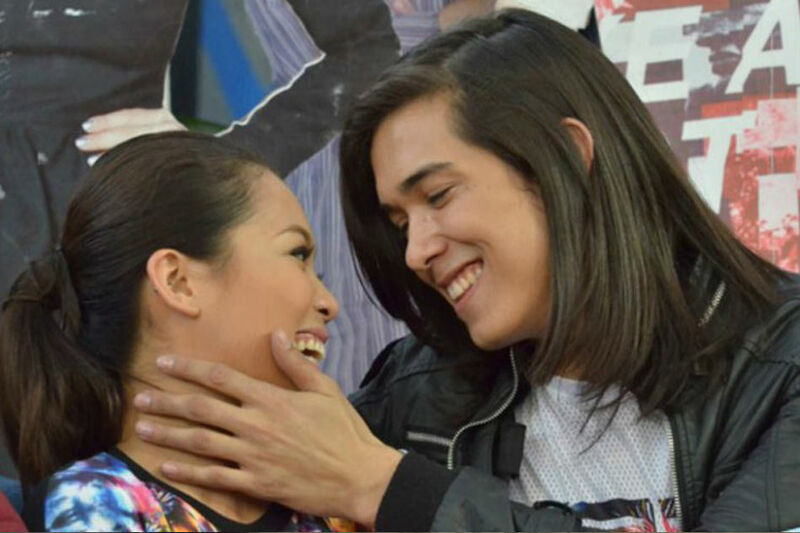 Their pairing, dubbed "ToMiho," spawned a following for their sweet on-cam moments. They officially became a couple in December 2015 when Esguerra asked Nishida to be his girlfriend on an episode of "It's Showtime." However, the two broke up in April last year. The love team of Kim Chiu and Gerald Anderson started when they were still housemates during the first teen edition of “Pinoy Big Brother.” After Chiu won, the two were tapped to topbill the drama series "Sana Maulit Muli," which became a success. The "Kimerald" tandem was such a draw that they were cast in "My Girl" in 2008, "Tayong Dalawa" in 2009 and "Kung Tayo'y Magkakalayo" in 2010. Their love team was also brought to the big screen via "I've Fallen For You" in 2007, and "Paano Na Kaya" and "Till My Heartaches End," both released in 2010. Along the way, they became a couple, which proved to be short-lived. The two reportedly ended their relationship in 2010. 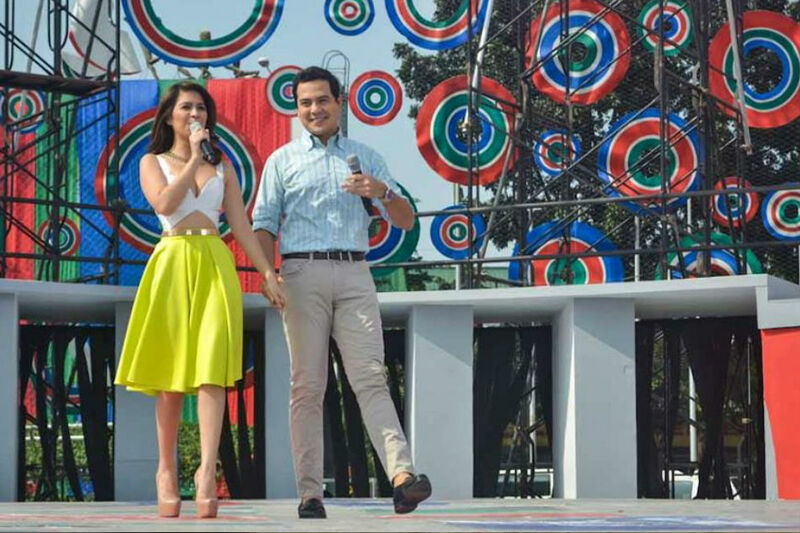 Heart Evangelista and John Prats were first paired in the late '90s via the youth-oriented show “G-Mik.” Although they were a love team for five years, Prats admitted in a previous interview that their relationship lasted for only a year. Aside from Prats, Evangelista also had a relationship with Jericho Rosales, who was also once her leading man. Currently, she is already married to Senator Francis Escudero, while Prats also recently married Isabel Oli. Arguably the most popular "love team" in the late '90s, Claudine Barretto and Rico Yan co-starred in several ABS-CBN series and six movies under the network's film arm Star Cinema. The two, who first worked together in the 1996 film "Radio Romance," eventually became a couple in real life after years of being paired on-screen. They celebrated their fourth anniversary on March 4, 2002, only weeks before Yan passed away. The couple was rumored to have already broken up when Yan died on March 29, 2002 due to acute hemorrhagic pancreatitis. The love team of Angelica Panganiban and Carlo Aquino started when they were cast in the youth-oriented show “G-Mik” in the late '90s. They eventually became real-life sweethearts for five years. Prior to starring in an episode of “Maalaala Mo Kaya” last year, Panganiban and Aquino's last TV project together was in 2005. In an April 2013 interview with entertainment magazine StarStudio, Panganiban said her relationship with Aquino never had the chance to deepen and mature, recalling this to be the reason of the breakup. 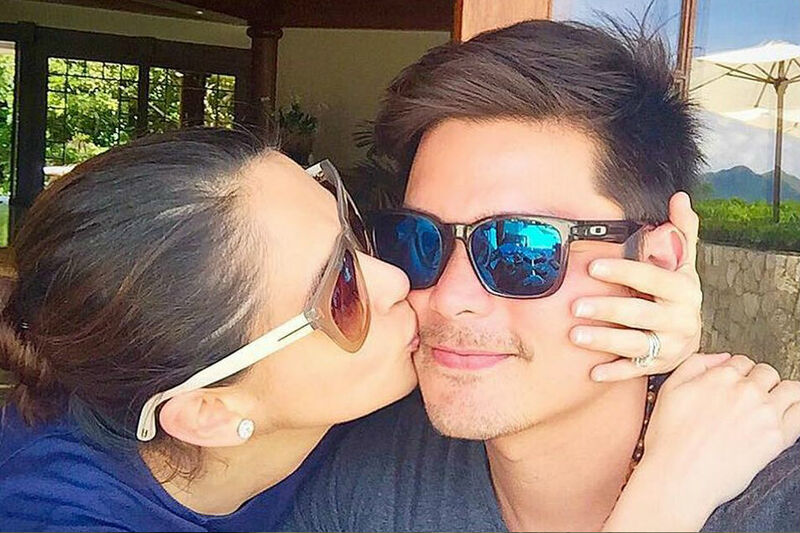 Marian Rivera and Dingdong Dantes first worked together in 2007 via the TV series “Marimar.” However, it was only in 2009 when Rivera admitted that she and Dantes were already exclusively dating. Five years later, the two tied the knot at the Immaculate Conception Cathedral in Quezon City. Jennylyn Mercado and Mark Herras were both contestants of the first season of the reality series “Starstruck,” which aired in 2003. After the show, the two were paired in a number of TV projects. During that time, the two became a couple but they also parted ways after a year. In a previous interview, Mercado said the main reason why their relationship didn’t work out was because they were too young at that time. Despite their breakup, the two remain good friends until today. Dubbed "DanRich" by their followers, Daniel Matsunaga and Erich Gonzales first worked together in March 2014 as guest co-hosts of "Kris TV." Despite being teased to each other by Kris Aquino at that time, the two kept their relationship professional as Gonzales was still with her non-showbiz boyfriend back then. It was only in June this year when Matsunaga finally introduced Gonzales as his girlfriend. The two worked together in the ABS-CBN series “Two Wives” and "Be My Lady." However, they broke up last year. Martin Nievera and Pops Fernandez first met in 1982 on the set of their show "Penthouse Live." It was then when they started developing feelings for each other that they became a couple and got married four years later. The two have two sons, Ram and Robin. It was also during this time that their tandem gained popularity and were eventually tagged as the Concert King and Queen. 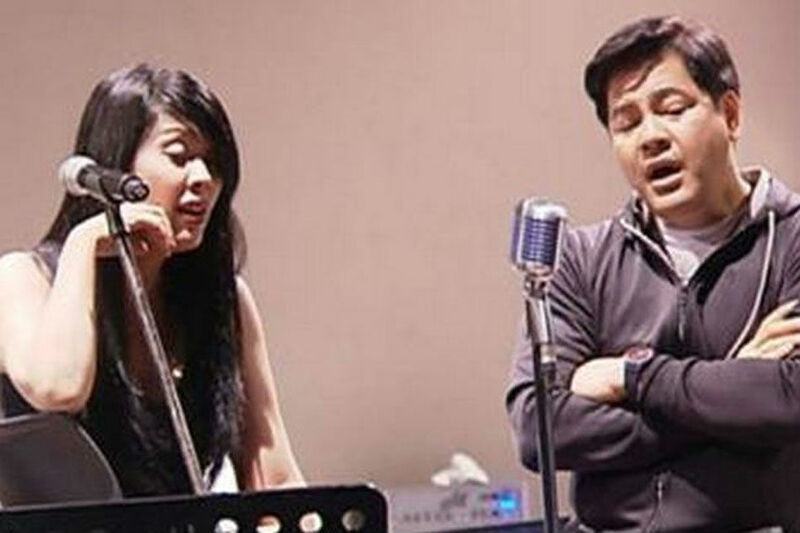 However, their real-life relationship ended amid allegations of infidelity on Nievera’s side. Fernandez reportedly filed for the annulment of their marriage in 1999. This was granted by the court only a year later. Despite this, both have maintained a good relationship for the sake of their two sons. Sharon Cuneta and Gabby Concepcion were dubbed as the ‘80s movie power couple with movies like "Dear Heart" and "PS I Love You." Their fan base grew larger when they eventually became a real-life couple. 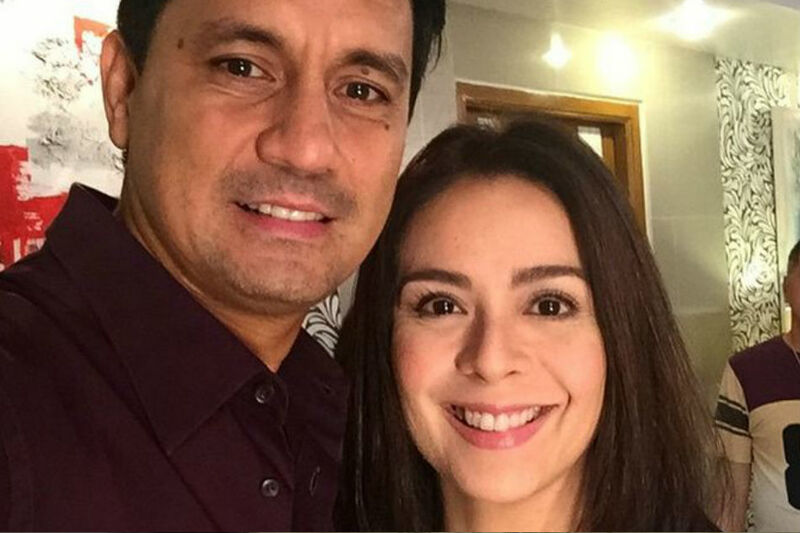 The two tied the knot in 1984 and they were blessed with a daughter, actress KC Concepcion. However, their marriage didn't last long. They recently reunited for a commercial, which became viral just days before Valentine's Day.